Lodge Des Nants is a spectacular new chalet and one which encapsulates the essence of luxury ski holidays. For those looking to truly indulge and holiday in unsurpassable accommodation, Lodge Des Nants is the ultimate luxury chalet. Complete with an indoor swimming pool, hammam, spa treatment room, sauna, cinema room and stunning roof top hot tub and deck overlooking Morzine and Avoriaz, it is the perfect chalet for a truly lavish escape. The chalet is set over five spacious levels that offer sprawling entertaining space both indoors and out as well as large bedrooms, all with their own en-suite bathrooms. The top level of the chalet features a large outdoor deck that overlooks the Morzine valley and up to Avoriaz. You can take in the view from the roof top hot tub or relax on the outdoor sofas where your hosts will keep you topped up with your favourite drink. Inside, this level is the perfect entertaining room with a bar, pool table and two large seating areas focused around a beautiful central fireplace. It is the perfect spot for relaxing with friends and family or for entertaining clients and colleagues. Below is a further communal level with wrap around outdoor decks that lead off from the open plan dining and kitchen areas. Your private chef and hosts will attend to your every need during your stay and the kitchen and dining area are the perfect setting for entertaining. Furthermore, a cinema room is situated on this level offering the perfect place to unwind after dinner. 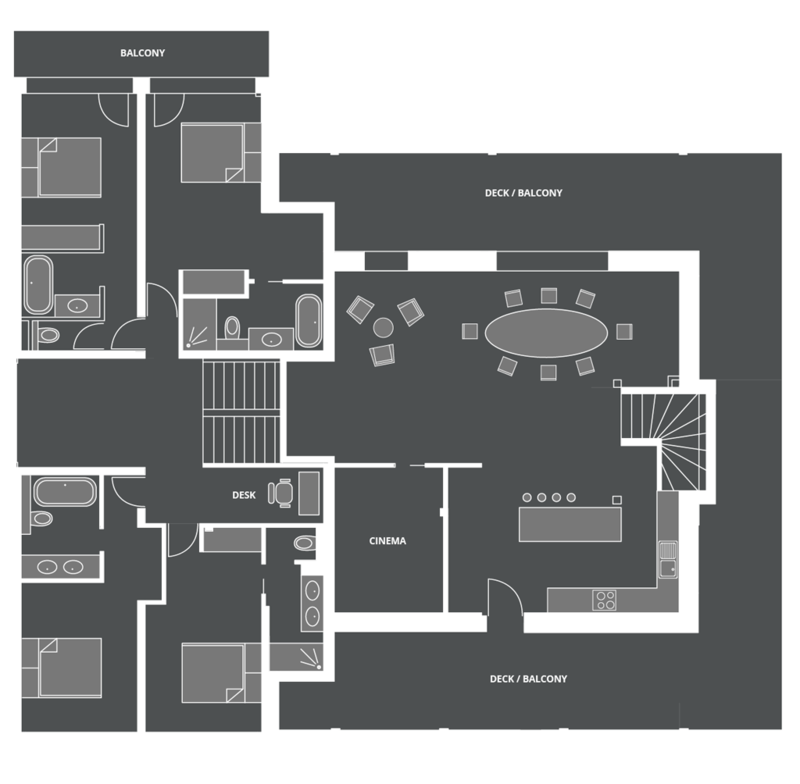 The third level leads to four beautiful bedrooms and also has an office desk area for guests to work from. Each bedroom can be configured as either twin or super king and are impeccably designed with bespoke furnishings and luxury finishes. Three of these bedrooms have bathroom en-suites whilst the other has a shower en-suite. Continuing down to the second floor you will find the spa and swimming pool. Beautifully designed, this area offers everything you could want after a day on the slopes. The indoor swimming pool has a current to swim against so you can warm up or cool down your muscles or you could allow one of Morzine’s massage therapists to do this for you in the spa room located next to the pool. A spacious and tranquil hammam is also located next to the pool or if you prefer a traditional log barrel sauna, you will find one just outside the door! 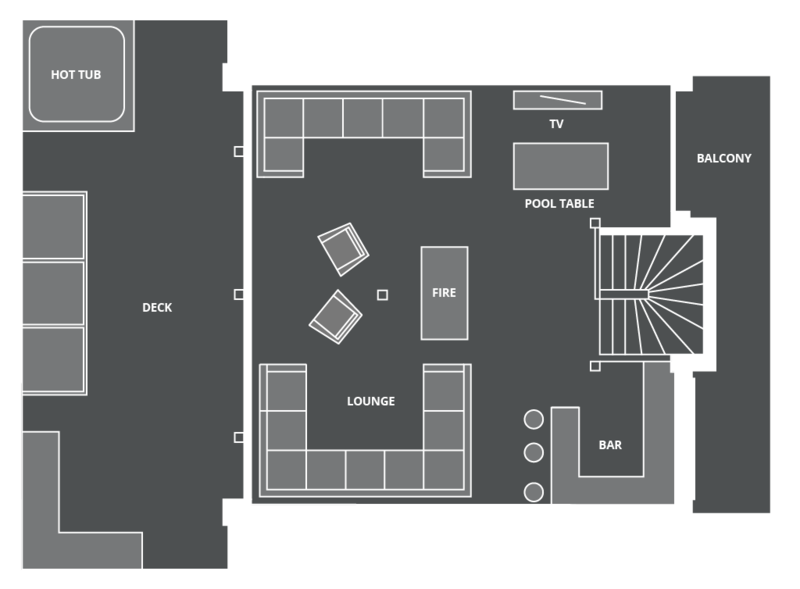 The ground floor has three further bedrooms all of which can be set up as super king or twin configurations. 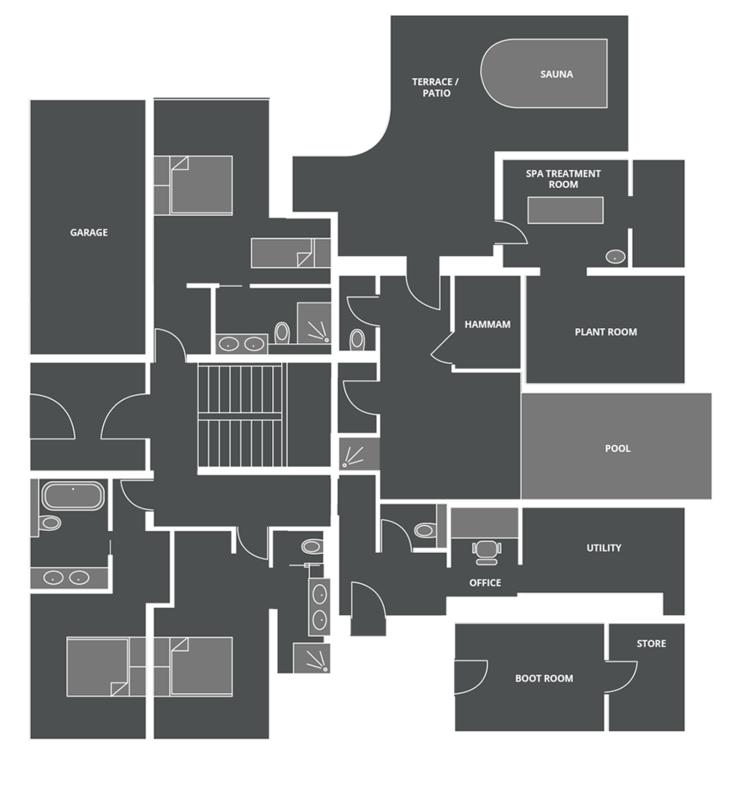 Each bedroom has an en-suite and large footprint so you can truly relax in a home from home. Two of the bedrooms have shower en-suites and the other has a bathroom en-suite. As with all bedrooms, we provide professional hairdryers and straighteners for your convenience and The White Company toiletries are provided in all bathrooms. The large boot room at the entrance to the chalet has heated boot and glove racks to keep your ski equipment warm and dry as well as offering ample storage for helmets, skis and snowboards. ** Available at extra cost – mid-week changeover, laundry service, extra cleaning services, lift passes, airport transfers, In-chalet equipment fitting & hire, ski tuition and guiding, day excursions. Within five minutes walking distance to the centre of Morzine and nestled below the slopes of Pleney, Lodge Des Nants is perfect for both skiers and non skiers. Our 24hr resort drivers will take you to and from the slopes and town centre or you can enjoy a five minute stroll down to town from the chalet. Lodge Des Nants benefits from being in a scenic, quiet area of Morzine whilst also being close to all the restaurants, bars and activities Morzine has to offer. The entrance level of the chalet is a large open plan living, dining and kitchen area that is flooded with light and sunshine through the massive glass fronted wall that looks out to the garden and Parc des Dérêches. The glass doors open onto a balcony that enjoys the sunshine throughout the day and in to the evening.